I met Yuzuru at SEIMEI. Then there was Chopin. Both programs're beautiful. 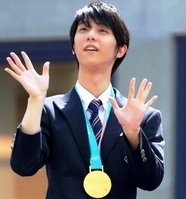 It's obvious that I fell in love with Yuzu and I loved his skating and genius Then, however, I began to watch all the other, like a drug addict! I thought I was lucky because I didn't have to wait out of season. I watched, read and felt happy! That was so much! I really liked POTO, R & J 1, PW. But the day came when the videos started repeating. He came LGC and H & L ... ah! Now I have to wait off season and miss him like all. I watch what I find. Now for the FS: I do not hate NDP. I like RJ2. I love RJ1, POTO, Seimei and hope e legacy. I love RJ1 mainly because it was his emotional intensity that won me over. I love POTO and my favorite performance of this program is the GPF2014 because he seemed happy just by skating the way he wanted or almost, he singing along with the song and a big smile after the fall. I love Seimei and my favorite presentation of this program is ... GPF2015, I know that many prefer the NHK 2015, but the GPF2015 deserves more love. 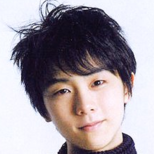 In GPF2015 he was in character all the time and a little more. In NHK2015 he made a fist pump after 3lutz and I thought "boy I know you're proud to have achieved this jump, but remain in the character", I think onmyouji does not use fists but magic. At the end of the program he was smiling very early, again thought " I know you are happy, but staying in the character does not leave so soon". 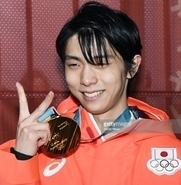 In GPF2015 he was Onmyouji until the final posture and after this he makes a gesture that seems to be undoing a spell and then this gesture of number 1 showing that he is in onmyouji number 1 sorry the figure skater number 1. What a pity that the câmera did not concentrate on him any more after he had finished seeing him undo the spell (this part is shown in some fancam, but not very definite). I like nhk 2015, but I prefer GPF2015 because he was the character completely and had control of the program . I also like GPF2015 more because of having a better câmera work and lighting than NHK2015 and I like Yuzu hair more there . I just wanted to defend the GPF2015 a bit, but maybe NHK 2015 was better and maybe I'm a little blind. And although all of this, my favorite is Hope e Legacy, I love this program, but everything that has been said about this program has already been said and now I'm lazy and need to sleep. .
Thou competing programs have superb skills and execution, I find ex have more artistic/creative choreo and show him more as a performer. Requiem is my utmost fav ex, Notre Dame 2nd. Hard to choose only three, great poll though! His first Romeo & Juliet free program was phenomenal, it had the right amount of suspense, fluidity, character and balance of artistry with athleticism —amazing program. Hana ni Nare is a exhibition number that is absolutely beautiful, the costume, meaning of lyrics/song along with his choreography fit perfectly together into a blossoming performance; every time I watch this I get inspired. Hope & Legacy defines Yuzuru completely, it holds the story of how he overcame the many obstacles in his life to reach hope and now builds his legacy. 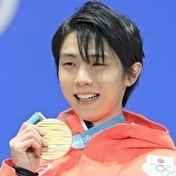 In all, I love all of Yuzuru's programs and wishes that he could stay longer in figure skating just to perform more programs! 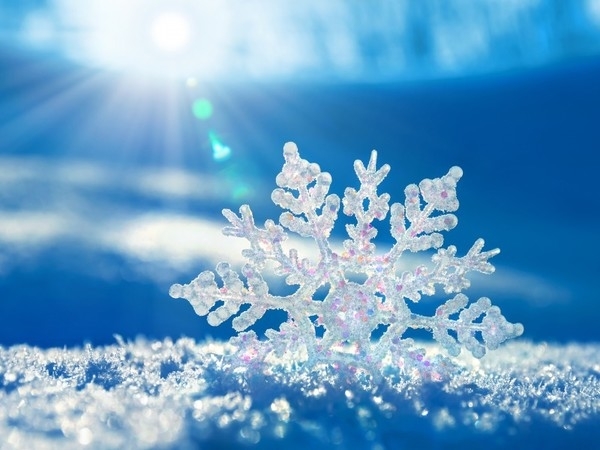 I liked Etude in D sharp minor as my favorite short program. The outfit and choreography was amazing. The climax of seimei gets me every time, I can't help but choose that one! Hope and Legacy is my favorite Yuzu's long program. First of all, I love music by Joe Hisaishi. I'm an avid fan of Hayao Miyazaki and music by Hisaishi was long ago on my player list. This music just tells you a story. Sometimes sad, sometimes happy, sometimes nostalgic - and every time it's a different story. And Hope and Legacy Yuzuru for me - it's a story of Serenity that he found in his soul and he gifts it for everyone who watches this program. If I'm frustrated or angry I watch it and always, always something pure and peaceful is born in my soul and I feel pure Serenity. And I always find decision inside my soul - how not to be angry and frustrated, that all bad just pass and only good will remain. He IS a genius... He gifts to us pure art. Third one - LGC. Because it's so bold and different and really feels like a rock performance! It's never was ideal, but it's perfect by the way it is. Hope and Legacy is my favorite Yuzu's long program. First of all, I love music by Joe Hisaishi. I'm an avid fan of Hayao Miyazaki and music by Hisaishi was long ago on my player list. This music just tells you a story. Sometimes sad, sometimes happy, sometimes nostalgic - and every time it's a different story. And Hope and Legacy Yuzuru for me - it's a story of Serenity that he found in his soul and he gifts it for everyone who watches this program. If I frustrated or angry I watch it and always, always something pure and peaceful is born in my soul and I feel pure Serenity. And I always find decision inside my soul - how not to be angry and frustrated, that all bad just pass and only good will remain. He IS a genius... He gifts to us pure art. Can't describe it better lol First H&L than requiem both beautiful and with so much emotion that moved me. As third for me its Chopin. I know pretty much all his skates after he joined TCC and his 2012 LP.